So! If you're not someone I keep in touch with regarding SF modding, you're probably not aware I've been working on what's basically a total overhaul mod for the game, telling an entirely new story with new characters, battles, art, everything. It's nowhere near complete, but I wanted to release this demo (the first half of the first chapter) to kind of gauge what people thought and get some feedback. So firstly, I think I should show you some nice images to get you interested in checking it out. What's currently in this demo? Since I don't want to spoil a whole lot more and would rather you experience the game for yourself, I'll end my summary here and just provide you with the download link so you can get on to playing it. I appreciate any and all feedback you'd like to offer, and it would be absolutely fantastic if anyone felt like recording videos or anything and sending them my way. I'm really curious to see how people play the game and to hear/see their experiences. Had the chance to test out this demo and it is awesome! Really looking forward to future updates! 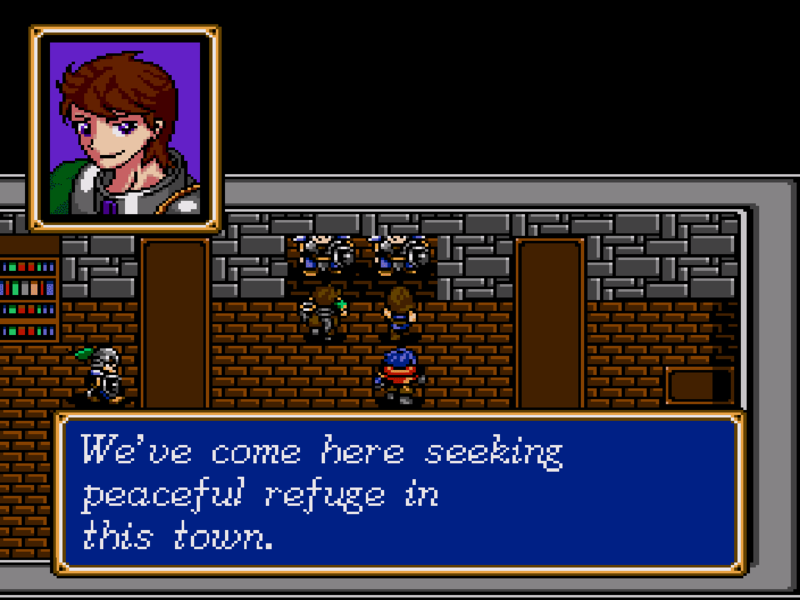 wow this is great, it seems a totally new game, the sprites are very good, my favorite in his design and portrait is Sharen, the one I did not like so much is Roderic's tail, it's as if he levitated at all times. Roderic design inspired me a lot to want to make a centaur at some point in my life. Wow, played the 2 battles, very challenge. 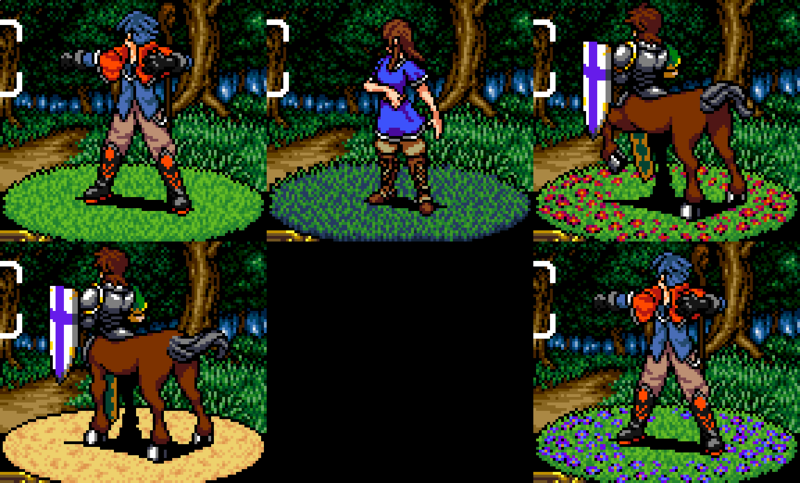 Good job, new sprites looks good enough(yeah, the knight's tail looks weird if you asked me). Elemental affinities also a good idea but I found it made the early game a little hard...but it's still beatable. So this time Egress is not put on the "heroine" but other one character, and normally, have no enough MP to cast it if "he" needed use his spell, I were surprised when I noticed that but since I rely savestates so it's not problem for me. Good news : I could play it on the real hardware ! Yeah ! Slightly bad news : SRAM access doesn't seem to work properly (corrupted saves appear in slots 1 and 3, and saving doesn't generate anything in slot 2), but at least it doesn't freeze the game. 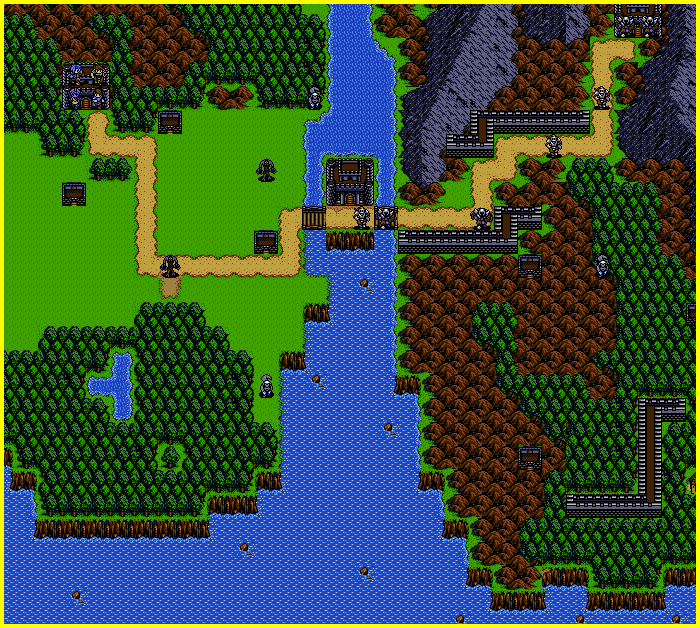 Of course the battles are very challenging, and it forces the player to care about Land Effect, which is nice. The new graphics are excellent, and most of all, the new maps, cutscenes and "map setups" are so enthusiasting ! 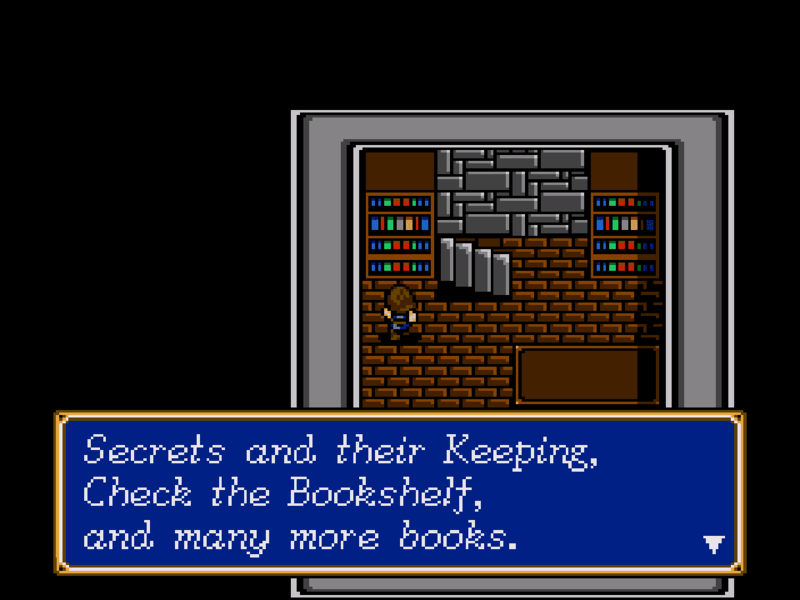 Shining Force hacks are not all about battles after all ! Really glad to see fresh new adventures to live. Please take all the time you want to make the rest of the game as enjoyable as this. Verssel wrote: ... the one I did not like so much is Roderic's tail, it's as if he levitated at all times. Hmm, a couple people have mentioned his tail. I'll think about getting it changed if multiple people are mentioning it. It's meant to be challenging! As long as the difficulty isn't insane, then it's just as intended. I'm not sure why "he" and "heroine" are in quotes here, but you would run into the same problem if the main character had Egress, since Heal uses even more MP than Blaze does. I'm considering lowering Egress's MP cost but I also want to discourage excessive grinding, so we'll have to wait and see. Originally I wasn't planning to include it at all. I can't speak for other mods, but I specifically designed this one so it will crash the editor if you try to open it. Working on this mod has come at no insignificant cost to myself, so I'd like to protect my work as best I'm able. Thanks for understanding. Wiz wrote: Good news : I could play it on the real hardware ! Yeah ! That's really cool that it works on actual hardware! I can't speak for the SRAM at all, but the fact you can at least play it is really cool. Wiz wrote: Of course the battles are very challenging, and it forces the player to care about Land Effect, which is nice. I'm glad you appreciate all the work that went into the non-battle portions! They're often neglected in mods but I put a lot of work into building up the world and atmosphere. It's good to know it isn't for naught. Wiz wrote: Really glad to see fresh new adventures to live. Please take all the time you want to make the rest of the game as enjoyable as this. The main limiting factor is paying for the sprite work. If I had unlimited funds I could work on it a lot faster, but since I want to keep up the professional quality that I can't produce myself for the art, it slows down progress every now and then. That said, I'm starting work on the second half of the first chapter soon (hoping to get some more feedback and such first), and I'll be releasing a new update upon completing Chapter 1 in its entirety. Hope you can keep the pace to get to the end of this project! Well, It's fine even if Egress removed from the game, I just get use to the original game's style, and some grinding but it's not big deal if without them, at least I have save states. 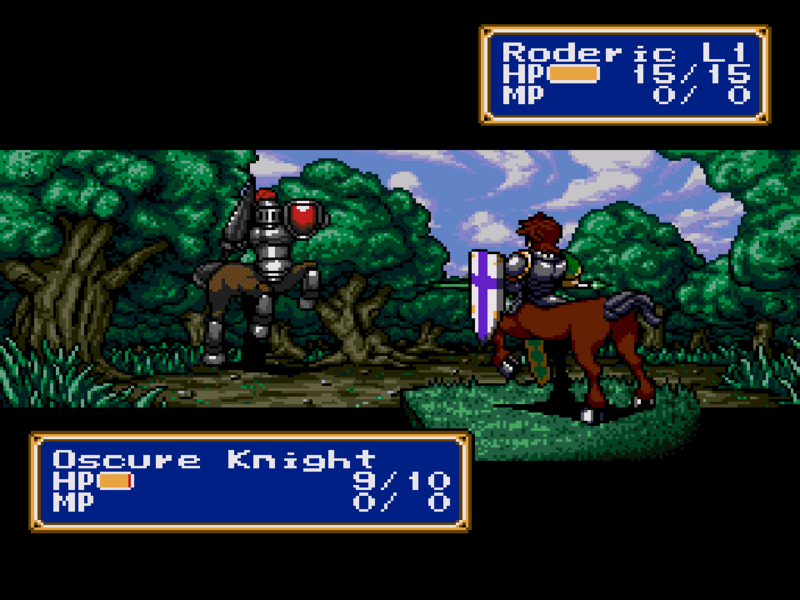 So it's because of ROM protection hack(? ), well, it's fine about protecting the works so I understand that. Looking forward on this project, please don't abandon it! Work is continuing at a good pace, so I thought I'd toss some more progress screenshots out here to check out. 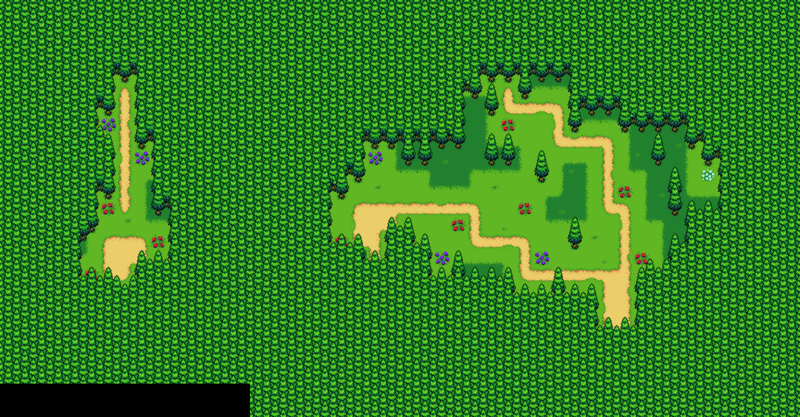 I ran into some technical difficulties that mean I can't use this (somewhat unfinished) map. However, you can see how it would have looked! Best of luck. This is truly an outstanding mod. Best one I've seen yet. So some people already know, but I'm planning to change from a mod to using Chaoswizard's fangame engine. 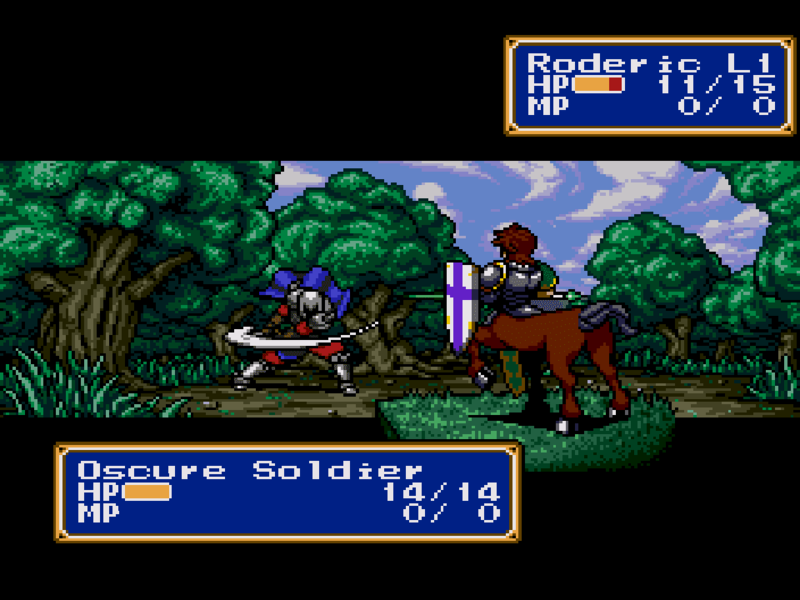 Helping him with beta testing it is one of the reasons, but the main one is that continuing to work in Shining Force 1 is strictly limiting how much I can do with my vision. In the name of staying true to my creative vision and bringing you the game I want to, I'm in the process of porting everything over to that engine. While this means a short delay in new content, the game should be even better when it re-releases over in the fanwork boards. 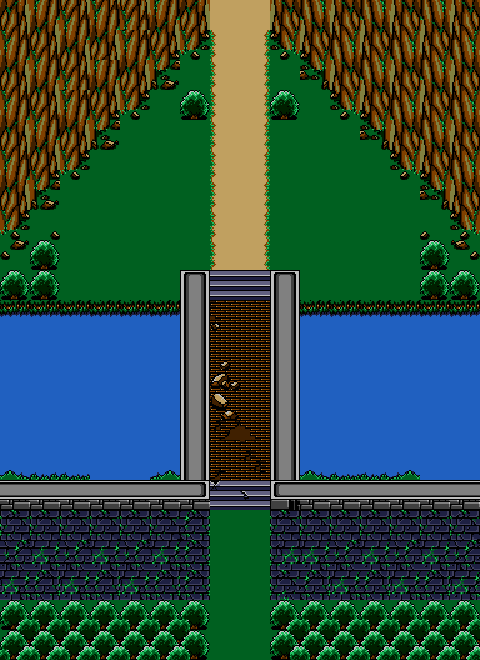 In the meantime, to tide you over, here's a preview of the re-tiled versions of the first two maps that will be coming with the new engine, as I'm having entirely-new tiles made for the transition and to further separate the game from SF1. Hopefully you take this as good news as much as I do, and I apologize to anyone who had their heart set on this being a SF1 mod. I hope you'll continue to enjoy and support the project as it grows and changes. 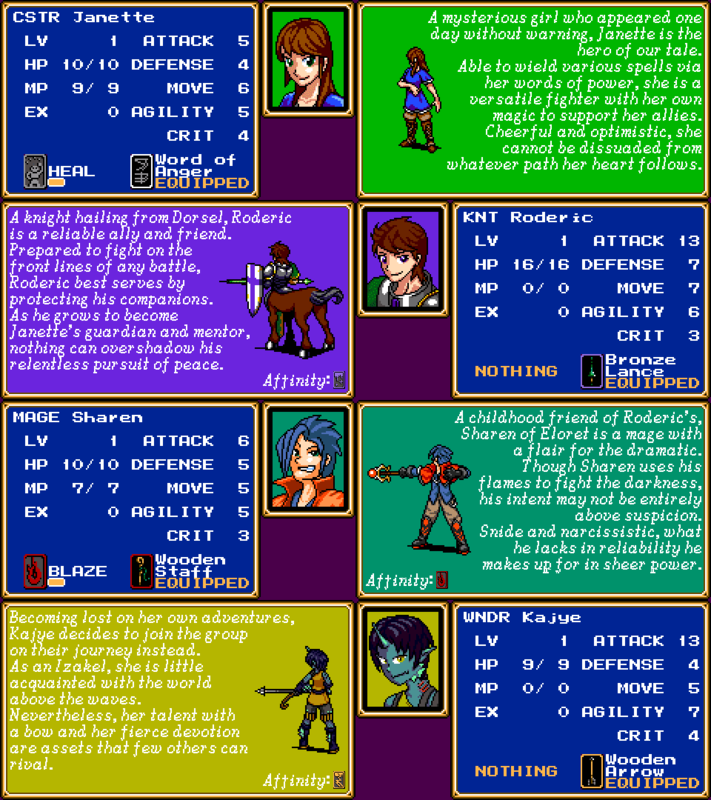 As mentioned, I'm no longer keeping things updated a whole lot on here, but I wanted to give a peek at the new version of the town of Cendiel. How goes the progress on this? Runesamurai wrote: How goes the progress on this? 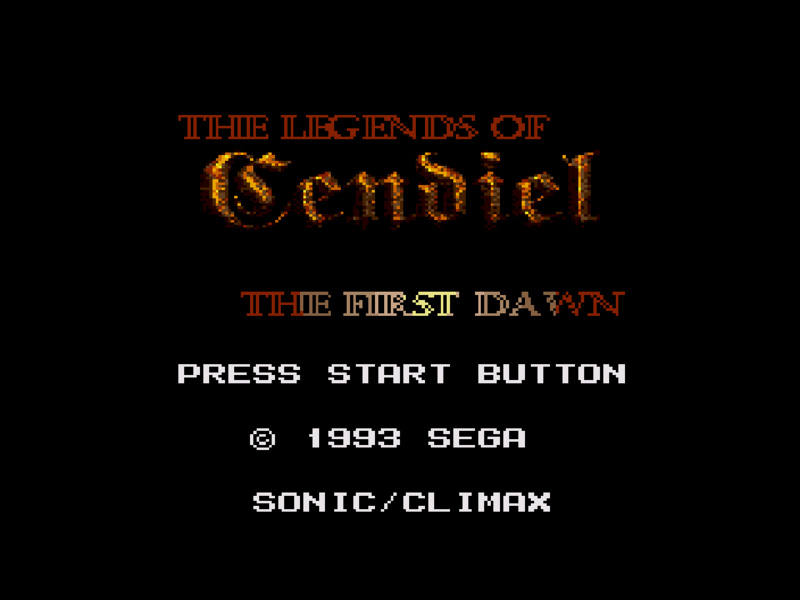 As I've said, you can follow the progress on the website I made for it, Cendiel Dev, Since it's no longer an SF1 mod and doesn't make sense to update here. However, most recently, battle cutscene platforms have been added, since you asked. Some other work has been done that I keep updated on the dev blog or isn't ready to be shown off yet. Tyadran wrote: Since it's no longer an SF1 mod and doesn't make sense to update here. Absolutely. 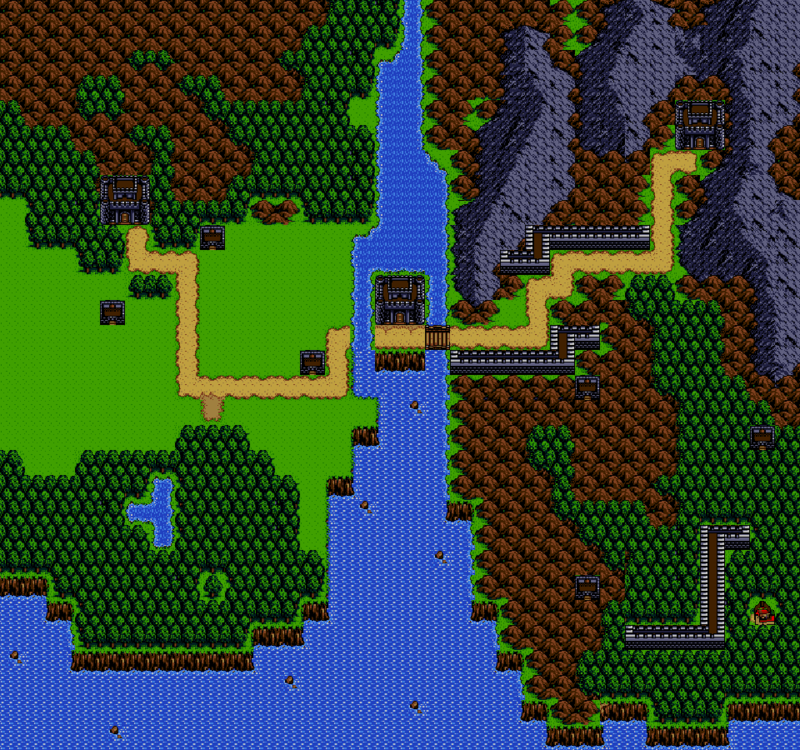 In fact, everything from the demo is going to be intact (while modified slightly, with some maps adjusted and etc.). 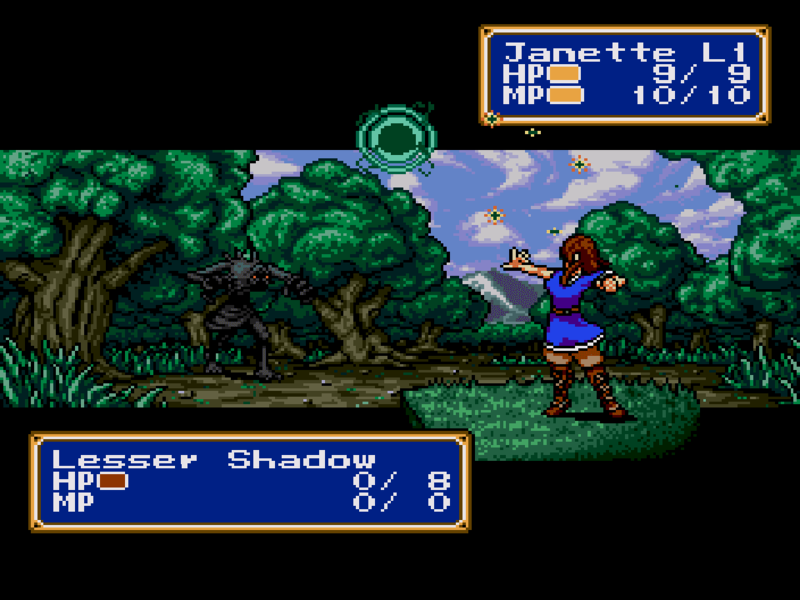 The gameplay style will 100% still be Shining Force's style. It simply doesn't make sense for me to post about it on the SF1 board of the forums since it's no longer built as an SF1 mod. Once I have a demo on the new engine available, I'll start a new thread over on the fanwork boards. 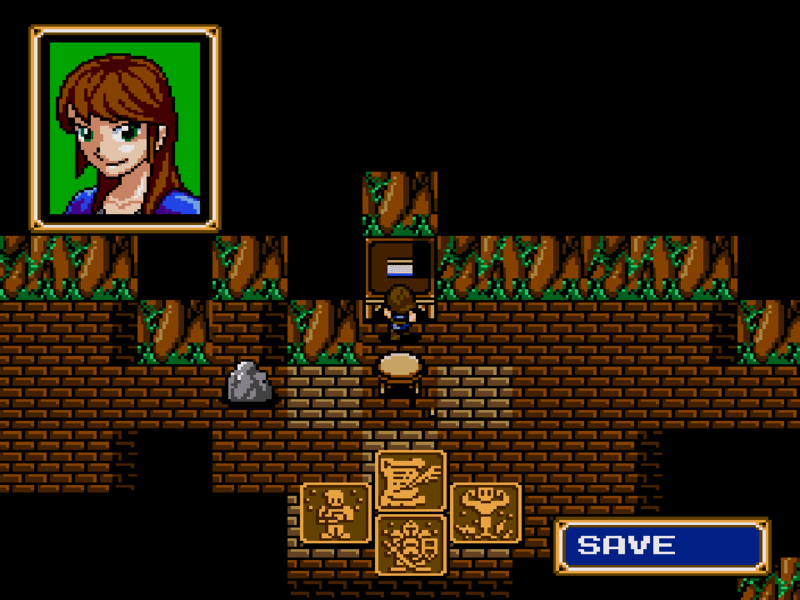 Just while I have nothing to play and it's not a mod anymore, I'm not keeping updates here on SFC. I keep saying I won't post about this here, but I've got a nice new visual to keep people's attention. Battle backgrounds are in for the first battle! Presuming college isn't nuts I'd like to get a video showing off the first battle up by next Sunday. Tyadran wrote: I keep saying I won't post about this here, but I've got a nice new visual to keep people's attention. Looking very nice, this game is gonna be something special when it's completed. 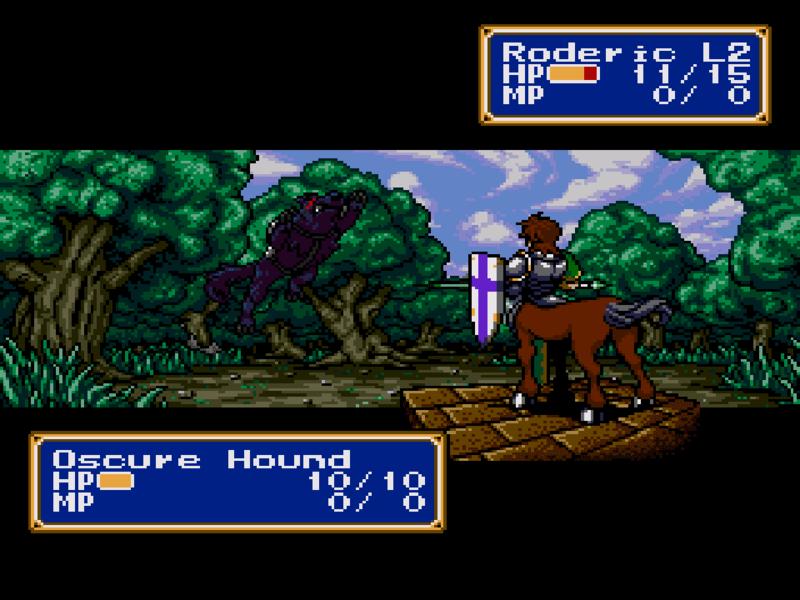 i like the sprite work of the centaur, keep up the good work!